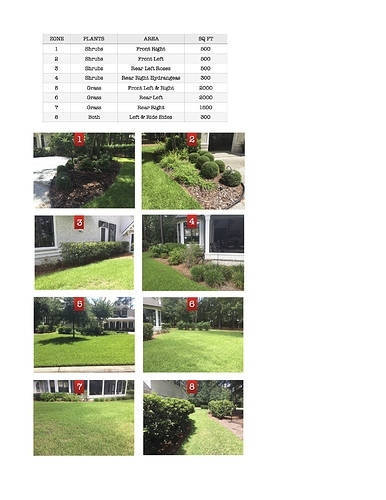 My landscaper is familiar with Rachio’s functionality & the zones in my yard but I wanted to be sure that we were all on the same page in case one of his guys had to do something & I or he was not around. So I created a spreadsheet with the zone number & corresponding photo of the area (inspired by the Rachio mobile app). I may create a Guest Wi-Fi network so he can use his mobile app to manage the system in case I am not available. After printing, I trimmed the excess & laminated the page then zip tied it to the outdoor box. That is an ingenious idea! Thank your for sharing that with the community! You could just give him access, as many of my clients do. He doesn’t need your wifi- he can access the system through his cellular data.